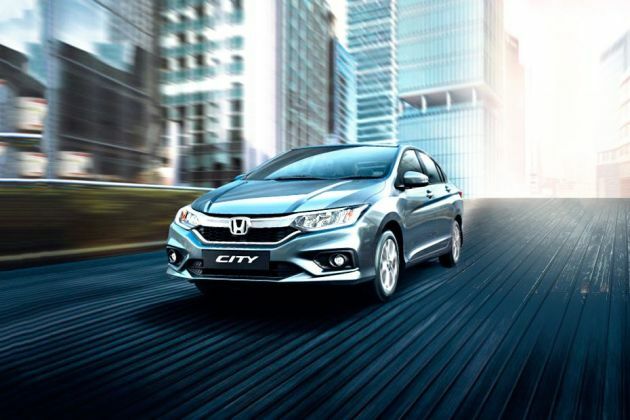 The Honda City has been a popular option for automatic car buyers ever since its introduction in the 90s. Such is the popularity of the City AT that the top-end petrol variant is not even offered with a manual transmission. The sedan is currently available in three AT variants i.e. V, VX and ZX. Priced at Rs 12.98 lakh (ex-showroom Delhi, as of 9 May, 2017), the VX is the mid-range version and commands a premium of Rs 1.20 lakh over its manual counterpart. All variants of the Honda City come with dual front airbags, ISOFIX and ABS with EBD as standard. On the outside, the VX grade adds elements like LED headlamps, LED fog lights, 16-inch diamond cut alloy wheels and a sunroof. This is quite a distinctive variant from the outside and gets many of the new features introduced in the refreshed City. Inside, this variant gets the leather interior package, which drapes the seats, steering wheel, gear lever and door armrests in premium leather. The power window switch panel sports a gun metal finish and you also get an auto-dimming, frameless interior rear view mirror. A very useful touch is the addition of reach-adjustment to the steering, which was earlier only tilt adjustable. This will be particularly useful for tall drivers who need to set the seat all the way back. Powering the Honda City i-VTEC CVT VX is a 1.5-litre, 4-cylinder petrol engine that makes 119PS of power and 145Nm of torque. With the CVT, Honda claims the City will deliver a fuel-efficiency of 18kmpl, which is marginally better than its manual equivalent.